A perfect Tea Sampler for the tea lover in your life. Even if that tea lover is YOU! There are very simple to follow directions included on the hanging label. 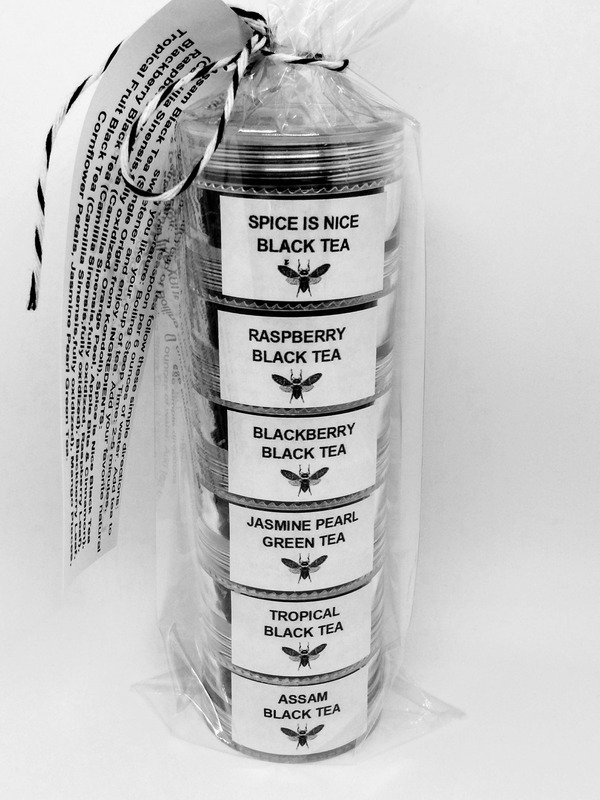 This is a sampler set of 6 different all natural loose leaf teas in 1.5 teaspoon size thick plastic jar. 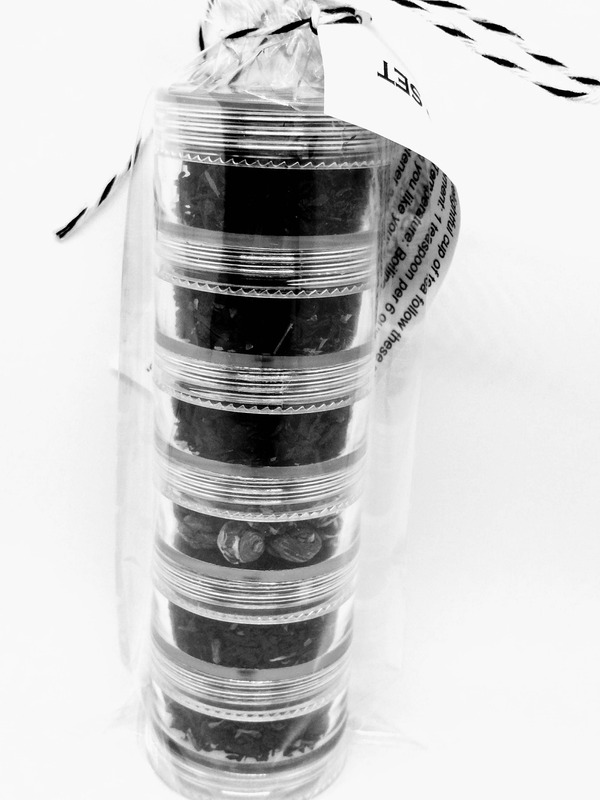 The 6 jars are threaded together to form a "small tower" of 6 individual teas. Each jar contains enough tea for one to two cups, depending on the strength of tea you prefer. There are simple and easy to follow directions on how to use them. This makes a great gift for you or for others. 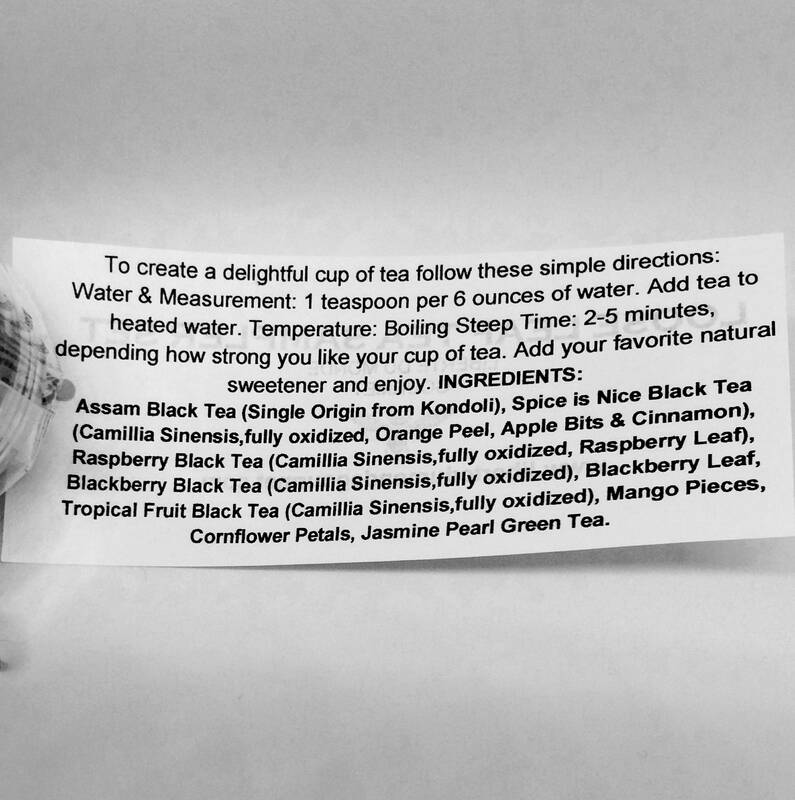 It's a fun and affordable way to try 6 different teas to figure out which ones you like best!